Acupuncture is a most effective way to treat Arthritis, especially arthritis of the knee and hands and spinal osteoarthritis. Acupuncture can relieve pain without the side effects associated with steroids and Non-Steroidal Anti-Inflammatories (NSAIDS). Acupuncture treats the pain by reducing inflammation which in turn increases mobility and reduces the need for joint replacement. Known as Bi-Syndrome in Traditional Chinese Medicine, Acupuncture has been treating arthritis for the last 3,000 years with good results that have been verified by NIH funded research studies in the United States. 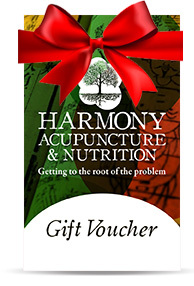 Harmony Acupuncture will tailor treatment individual to your requirements and will use a combination of tools which could include Moxabustion Therapy, Electro-Magnetic Acupuncture and Heat Therapy. Treatment with Acupuncture should see results within 5 – 10 sessions and then a longer term maintenance strategy will be agreed.